Hundreds of thousands of people are on the move in central London to demand a new referendum on the Brexit. 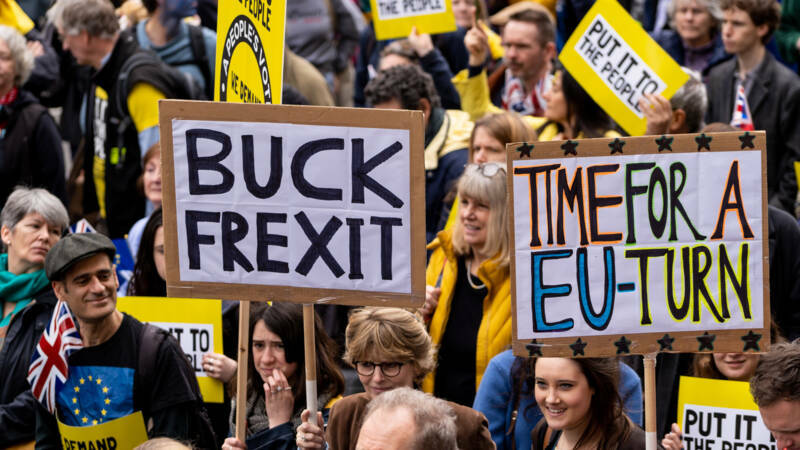 They carry banners with texts such as “The best deal is not a Brexit” and “Let the people speak.” The demonstrators walk from Park Lane to the parliament building. There are speeches by, among others, Scottish Prime Minister Sturgeon, Deputy Labor leader Watson and London Mayor Khan. According to the organizers, there are around one million demonstrators. It is unknown whether that is true, but it is clear that resistance to the Brexit is growing. An online petition for the withdrawal of the Brexit has been signed more than 4 million times. “We are here today because we feel we are being robbed of our future,” an 18-year-old demonstrator told Reuters news agency. “Our generation has to live with the consequences of this disaster. 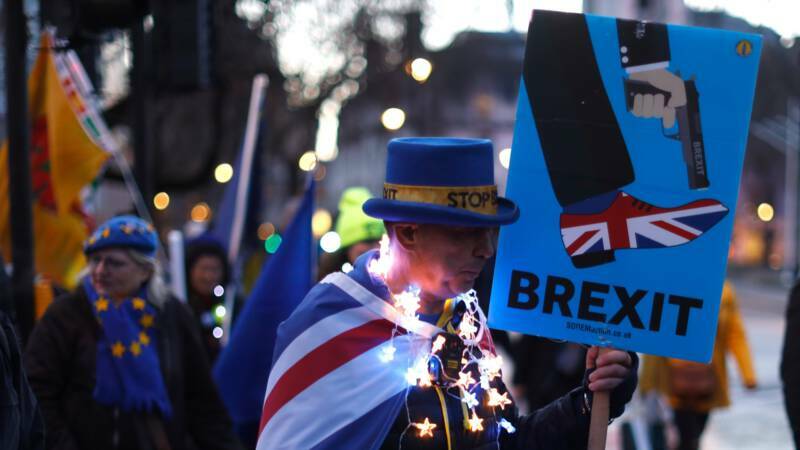 It will be harder to find a job.” The demonstration comes a few days after the European Union has given the United Kingdom a few weeks’ delay to arrange the Brexit. According to the campaigners, it is therefore now the right time to launch a referendum and reverse the brexit. If the lower house next week agrees with the draft agreement May has concluded with the EU, the United Kingdom will get until May 22 before it leaves the union. If the House of Commons says ‘no’ again and there is no other plan, the British will leave the EU on 12 April. This entry was posted in Documentation and tagged Brexit, Demonstration, London, Theresa May PM. Bookmark the permalink.